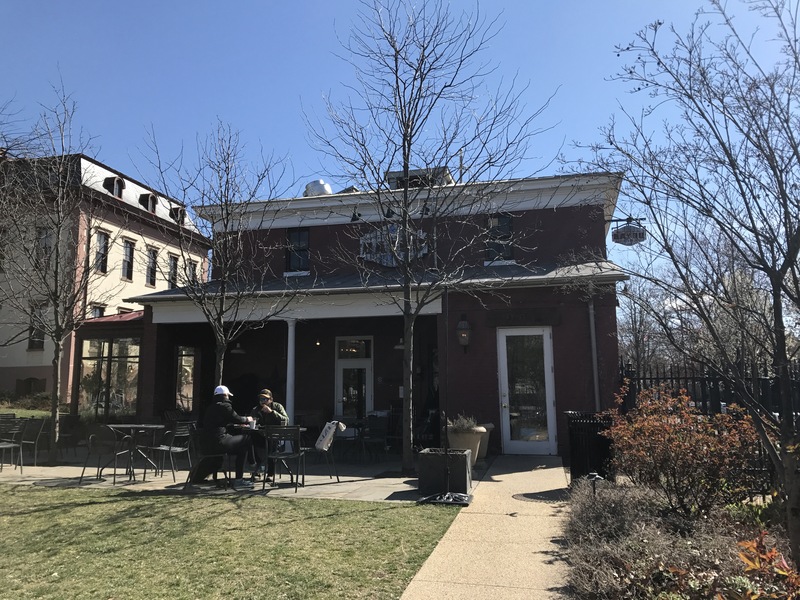 Washington, D.C. – Biscotti and a Ph.D. 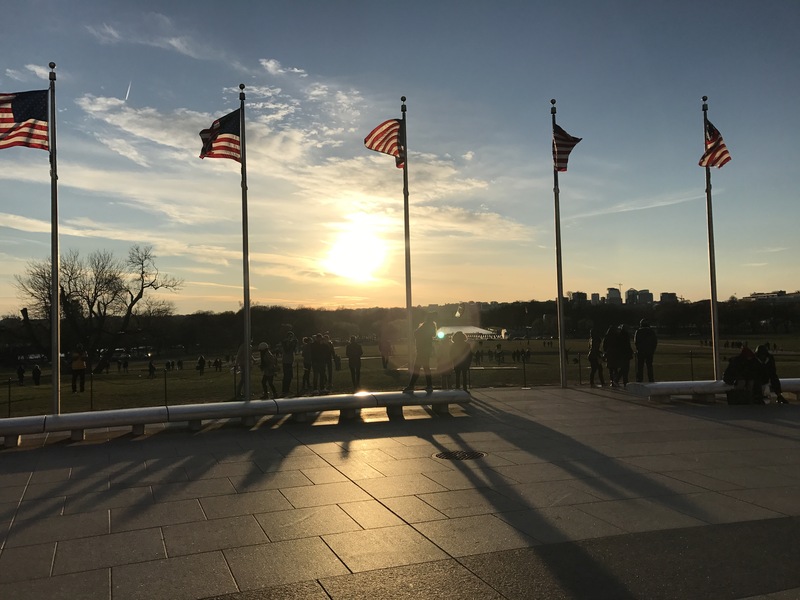 There are so many things to do in D.C…and the best part is that all the museums are free! 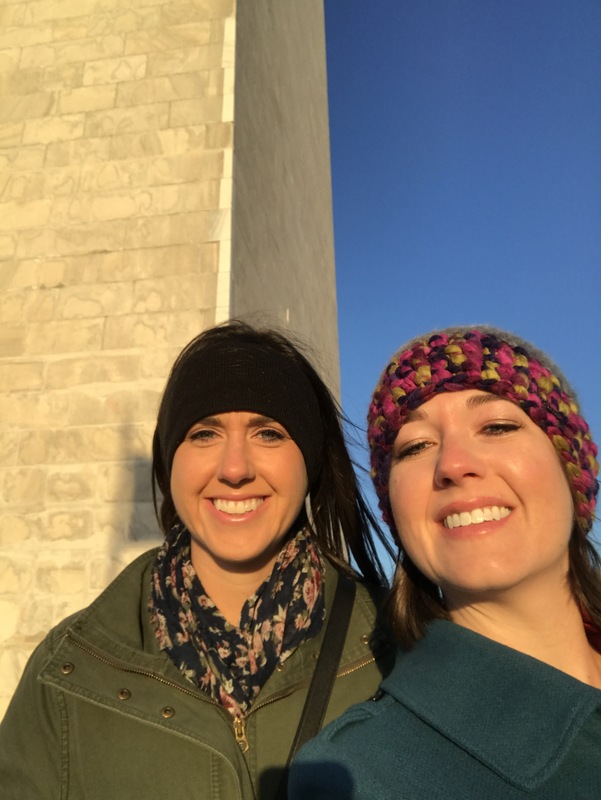 I haven’t been to D.C. in years, so we used our free time to walk around some of the museums. Our first stop was The National Museum of Natural History. A list of the exhibitions can be found here; my favorite area is always the mammals section, where we found the little guy below. 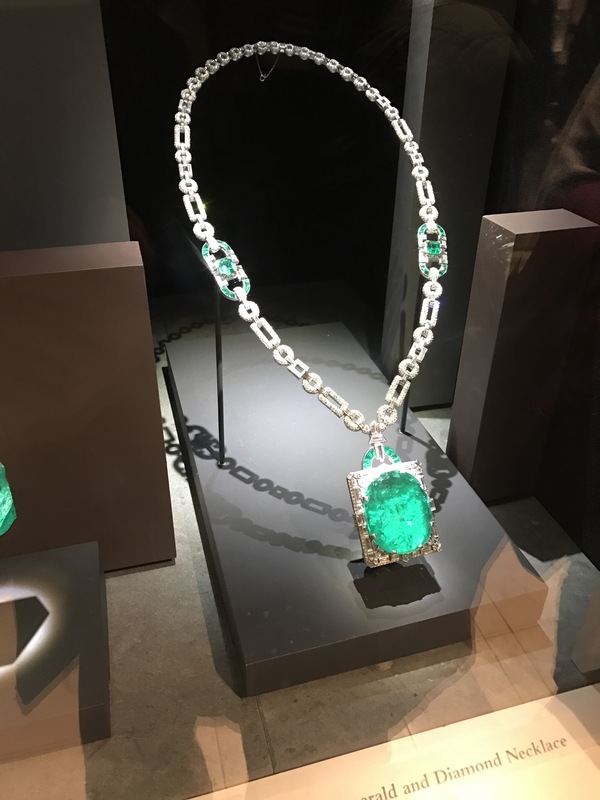 We also walked through the gems and minerals exhibit where they have the Hope Diamond and some other beautiful (and humongous!) gems. We didn’t spend a lot of time in the other rooms – the insect zoo is the worst if you’re like me and hate all the creepy crawlies. On Saturday after the race we were determined not to waste time like we did after the Savannah half (after stuffing our face with chicken we napped the entire evening away). 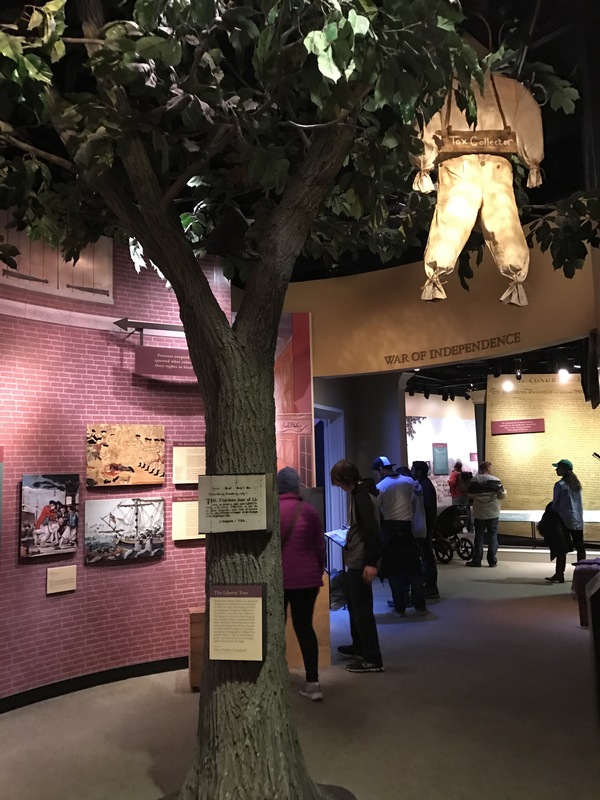 Although we were exhausted and our legs definitely didn’t want to walk anymore, we came back to The National Museum of American History. Since we both love food, we had to go through FOOD: Transforming the American Table 1950-2000. It was super fascinating to see the rise of fast food and a reproduction of Julia Child’s home kitchen. Another really great exhibit was The Price of Freedom: Americans at War. We basically had to run through this one because the museum was closing. 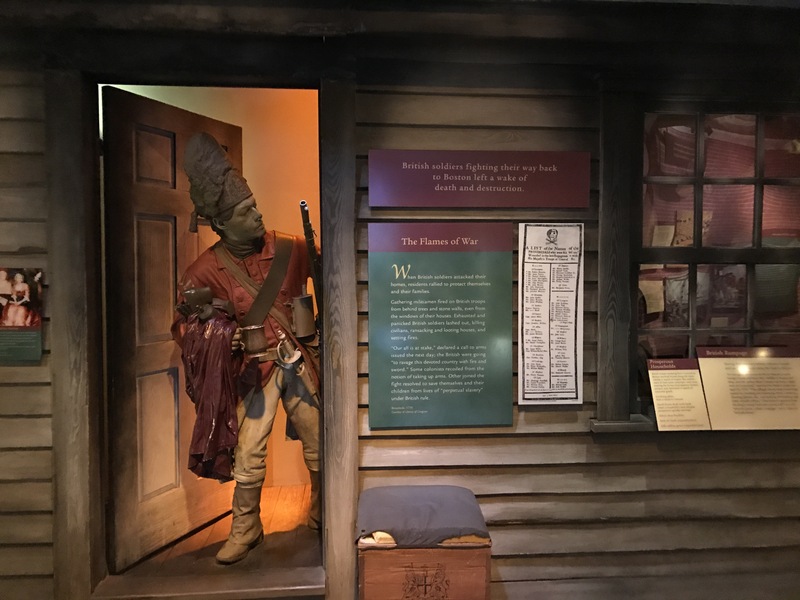 Being an American literature professor who specializes in the American Revolution era, I really loved seeing some of the uniforms and weapons (George Washington’s sword!!!). 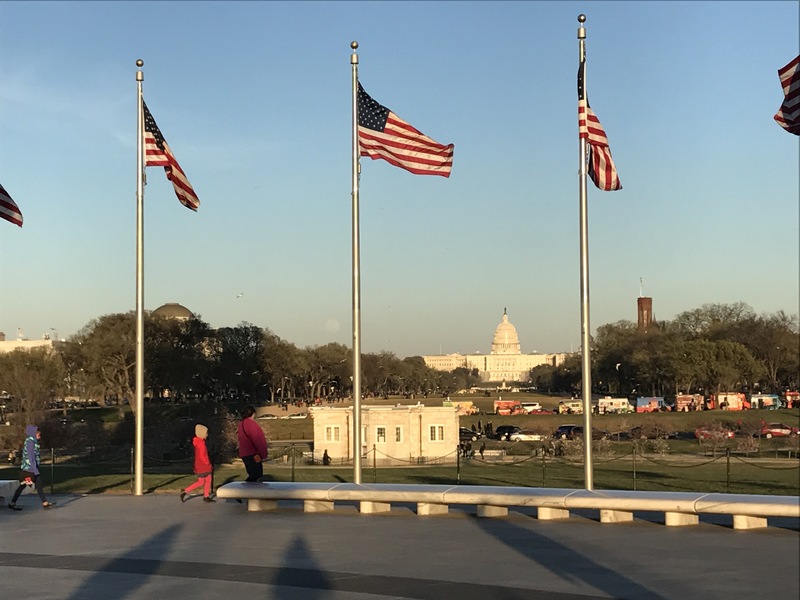 Although it was close to sundown, we of course had to walk over to the Washington Monument. You can tell from our faces above that we were trying to stay positive despite the whipping wind and freezing cold! What are your favorite museums and exhibits to see? 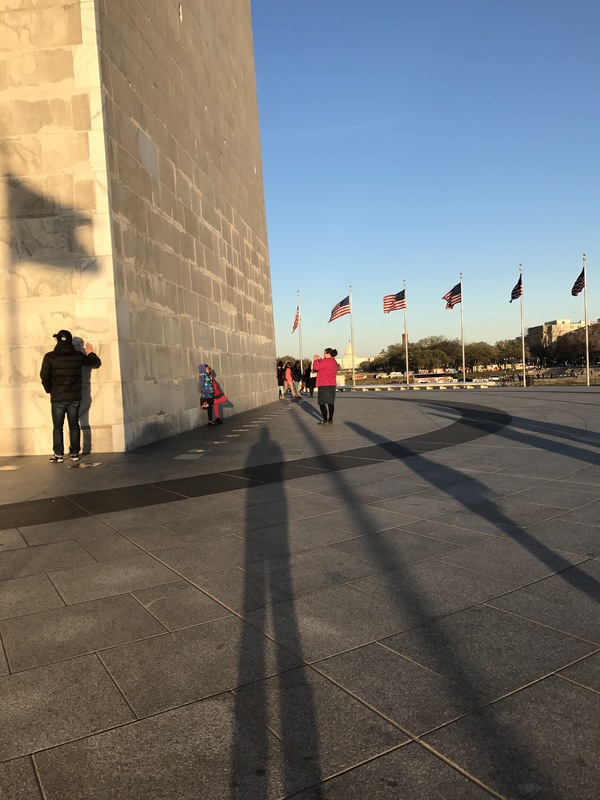 If you live in D.C., do you still visit the museums? Enough with the boring running details, you’re here to see and hear about some delicious food! I don’t blame you. D.C. has some incredible and tempting food options. Our planes landed within 30 minutes of each other, so our first goal, after getting to the hotel (shoutout to Holiday Inn Washington – Capitol for letting us check in at 9:30am! ), was to find coffee. I drove to the airport in Raleigh at 3am, so it was coffee or death at that point. What goes well with coffee? Doughnuts, of course! We took the metro to the Eastern Market station and walked to District Doughnut (in the snow). 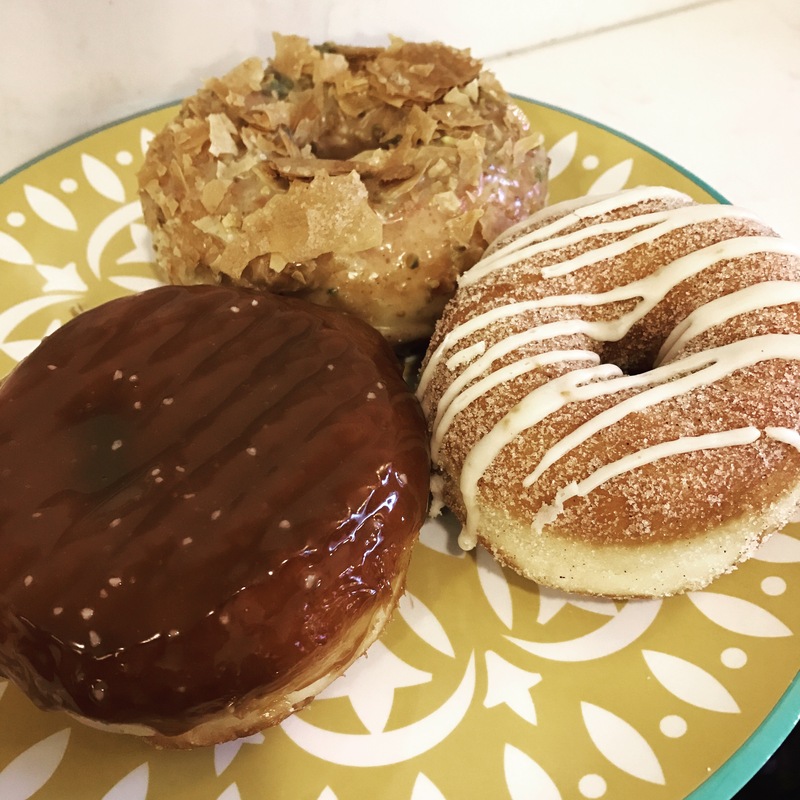 My sister was the doughnut winner with the Salted Dulche de Leche (it had a cream filling that was delicious). Our next stop was picking up our race packets. If you’re interested in the expo, you can see this post. For lunch we ended up snacking at The National Museum of Natural History cafe because we had reservations for dinner. We split some chicken tenders and fries and probably looked pitiful, but we didn’t want to waste money on meh-food, just enough to hold us for a bit. 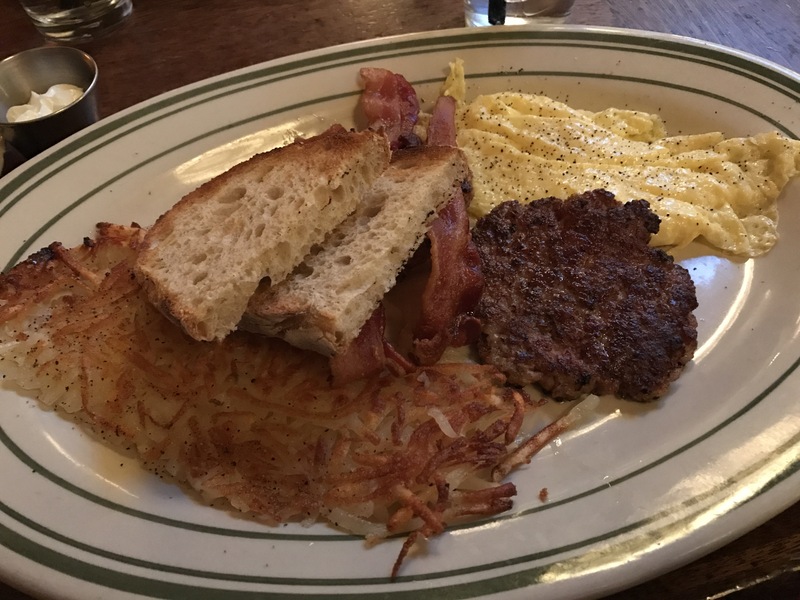 We needed to carb load for the race, so I made reservations at Ted’s Bulletin – hello, all day breakfast! 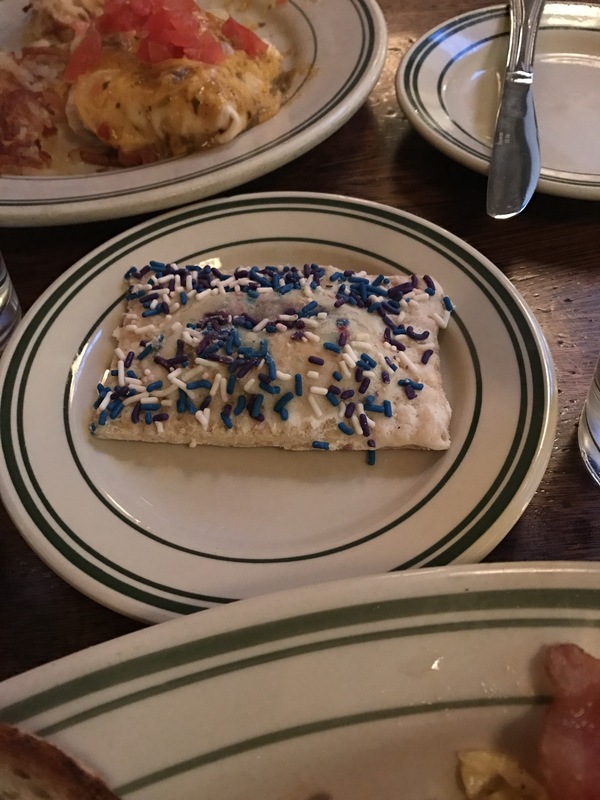 This is also the home of the Ted’s Tart, a homemade and much tastier version of the poptart. They also have adult milkshakes (yep, milkshakes with alcohol! ), and if I hadn’t been prepping for a race, I totally would’ve indulged in one! Instead, I had The Big Mark Breakfast (eggs, bacon, sausage, hashbrowns, toast, and a Ted’s Tart). 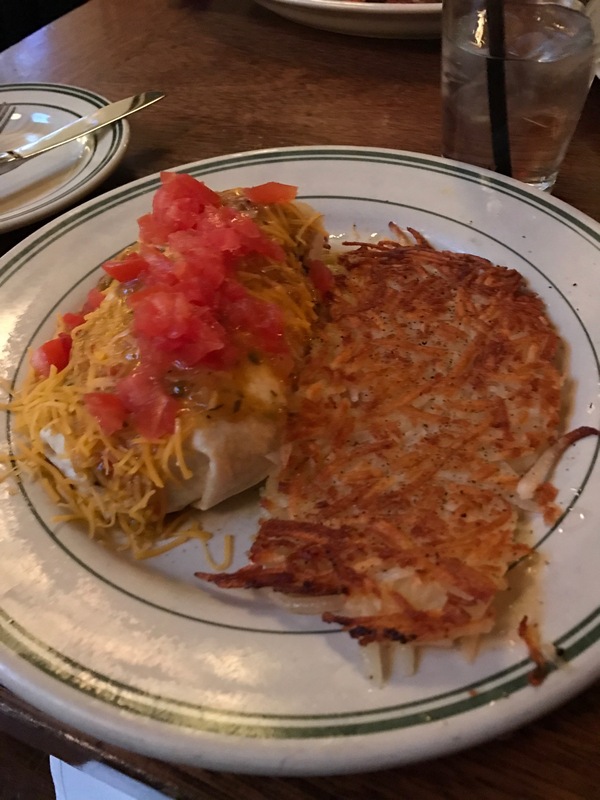 My sister had The Walk of Shame Breakfast Burrito (looking back at these photos is making me hungry!). The race was the next morning and my breakfast/dinner (brinner? dinfast?) was a perfect choice to keep me carbloaded without upsetting my stomach during or after the race. After the race we went back to the hotel to clean up and get warm and then headed to Bayou Bakery, Coffee Bar and Eatery. 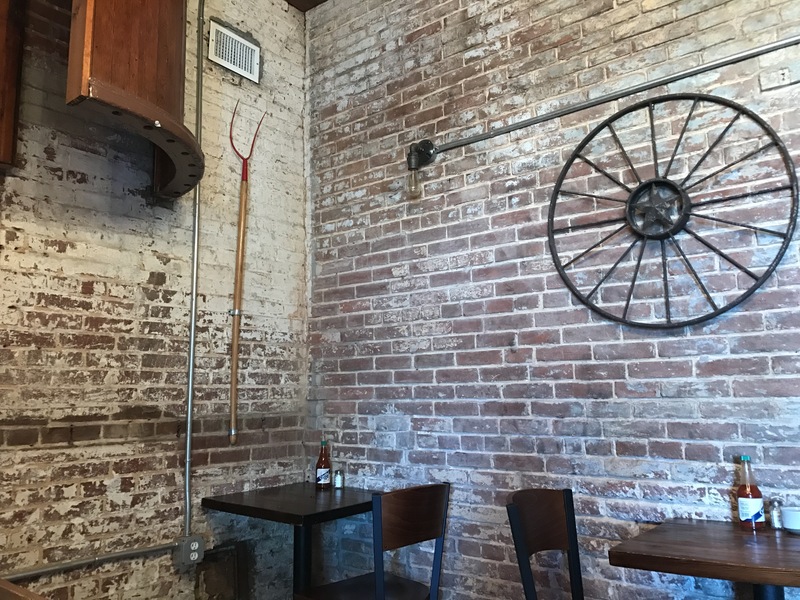 IT’S SO CUTE and in an old carriage house! If I lived in D.C. this is a place I would want to spend a lot of time in. 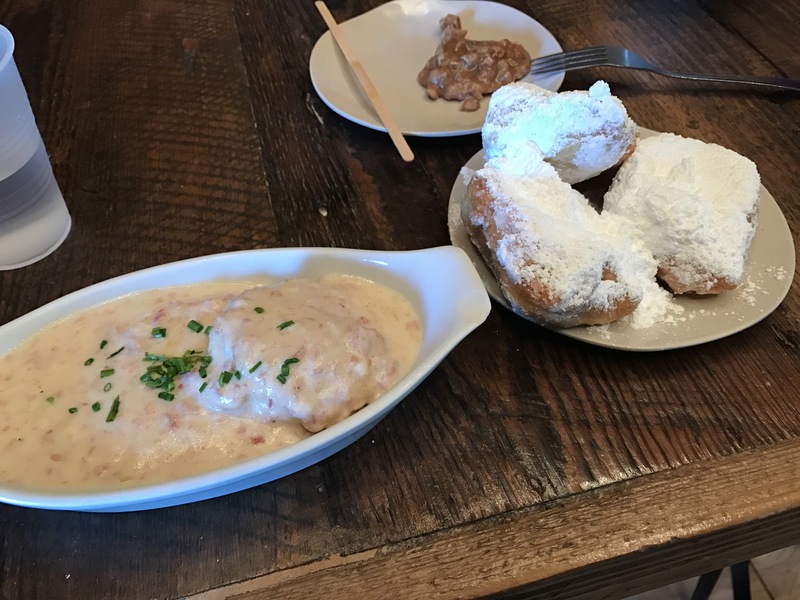 I ordered the beignets to split with my sister (because one should always order beignets) and the buttermilk biscuits and gravy. We also picked up bags of bacon popcorn to take home to our guys. I highly recommend a stop here! After our lunch we headed back to The National Museum of American History (more about that later) and went through exhibits until they closed and then spent some time walking around the Washington Monument. It. Was. So. Cold. This is a food post, but I still feel like you’re thinking, is eating all they do? The answer is yes, and now it’s time to talk about dinner. We had dinner reservations at Founding Farmers which ended up being another excellent choice! Life is short – eat good food! 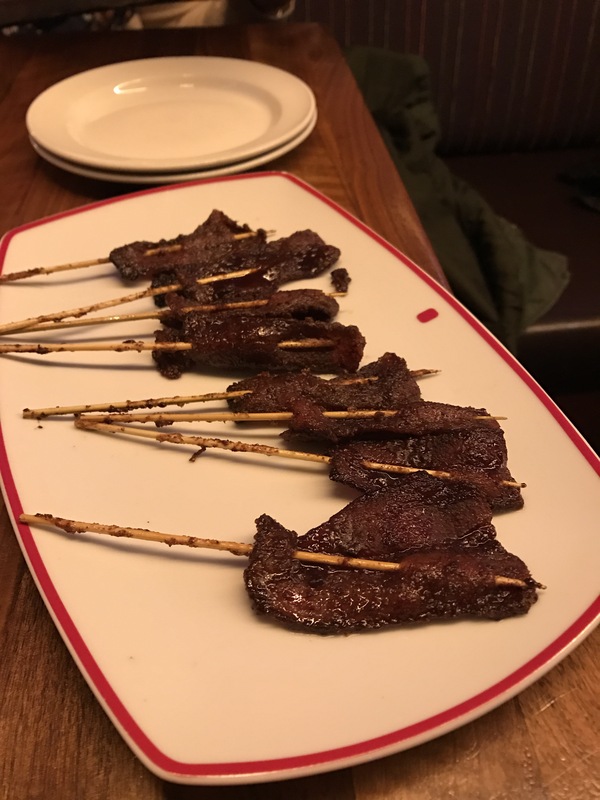 Since I basically memorize menus before going to the restaurant, I knew we had to have the bacon lollipops as an appetizer, and we had no regrets. 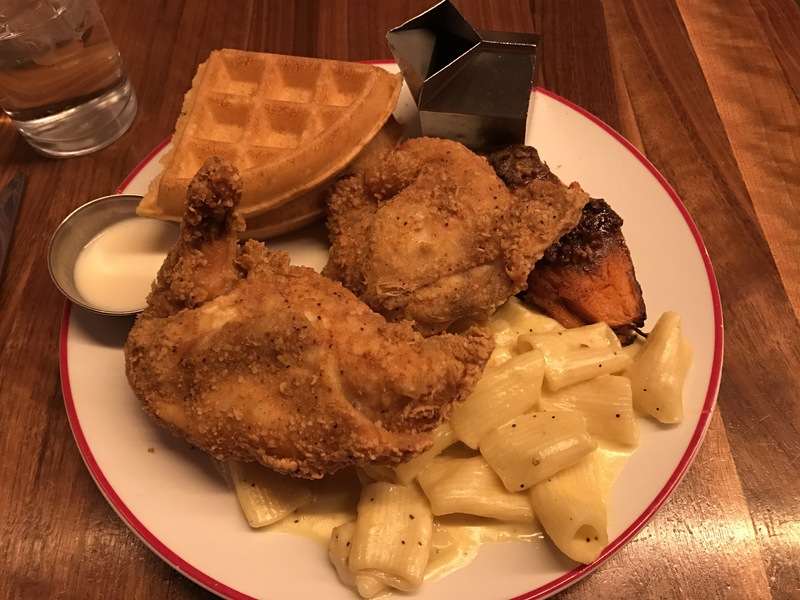 For my meal I had the chicken and waffles (and look at that delicious sweet potato covered in pecans and fig butter – that’s been replaced with green beans on the menu so maybe it’s seasonal?). My sister had the goat cheese ravioli which was also so amazing. The table beside us ordered a couple desserts, but at that point we couldn’t hold anything else. 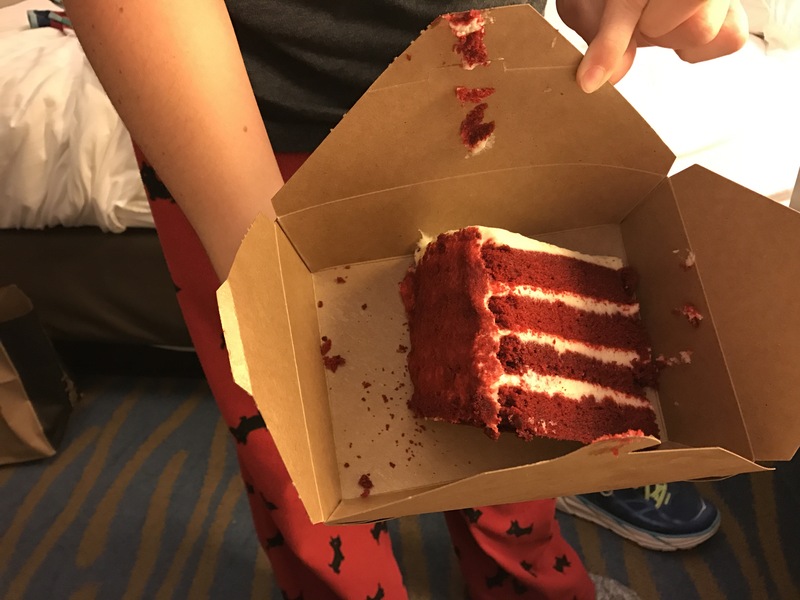 But we definitely ordered a piece of red velvet cake to take back to the hotel. Don’t worry, the food isn’t over just yet. 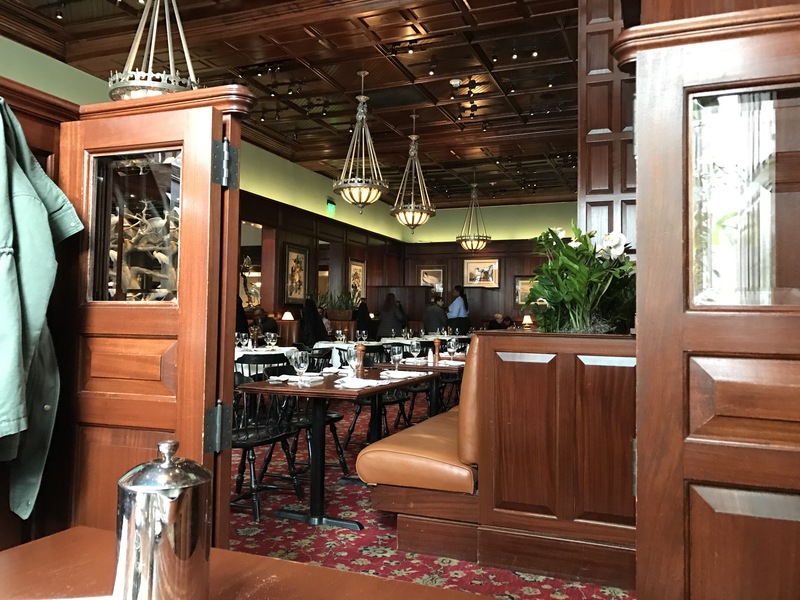 We had reservations the next morning at The Hamilton for brunch, and it was a perfect way to say goodbye to D.C. The inside of the restaurant is beautiful, and our waiter was so kind and helpful! We started our breakfast with coffee and split a caramel pecan sticky bun. We totally didn’t need that sticky bun because as you can see from the picture below, we had a ton of food! 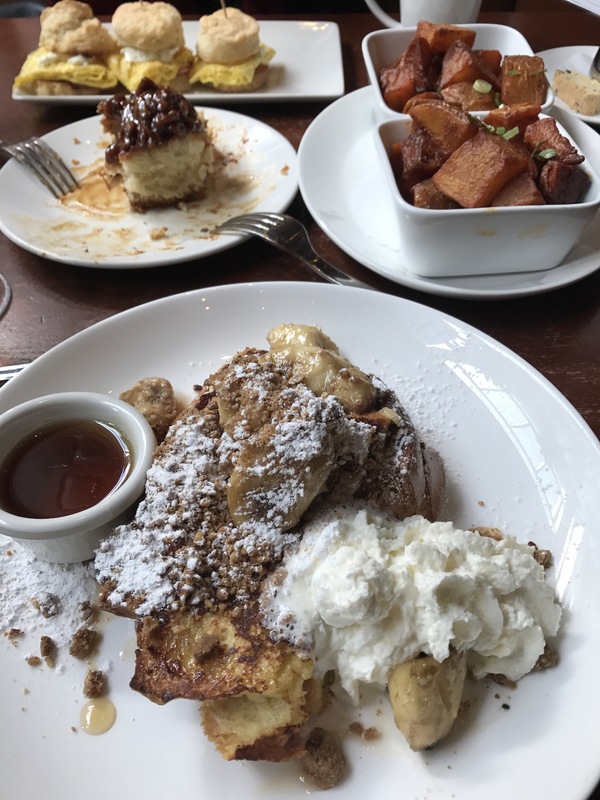 I had the bananas foster french toast with LTD fries (our waiter explained that those were really popular and were limited, so once they sold out they were gone) and my sister had goat cheese biscuit sliders. Both of these entrees aren’t on the current menu, so I’m assuming they were seasonal for winter. It’s a good thing we burned calories from the half marathon and all the walking we did! What are your favorite restaurants in Washington, D.C.? 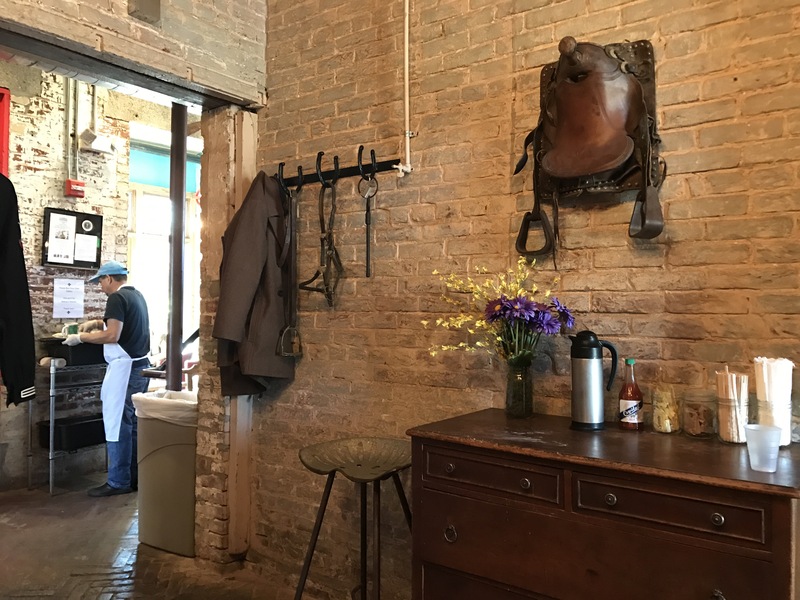 Any must-eats that we missed on this trip? I am now officially in half marathon retirement. I swore that this would be my last one, but it was actually enjoyable so who knows what the future holds.